We are excited to be offering a free delivery of cupcakes from designer and baker extroadinaire, Mama Cupcake. Mama Cupcake – aka Jesica Kemp – designs and bakes exquisite cupcakes to order, for home delivery in the Cheshire area. We recently had the pleasure of reviewing her gorgeous and delicious creations. We’re giving our facebook followers who live in Cheshire the chance to win a box of Jessica’s beautiful cupcake creations. 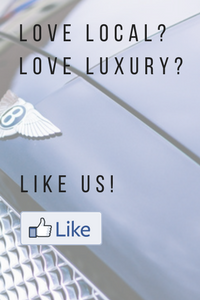 Simply like and comment on the competition post on the Luxury Cheshire facebook page between 1st November and 10th November to be entered into the draw. The prize is a box of 6 luxury cupcakes. Delivery is to a Cheshire address only and must be made by arrangement with Mama Cupcake. Entrants must be aged 18 or over. Entrants are included in the draw who have LIKED and COMMENTED on the cupcake competition post on the Luxury Cheshire facebook feed between 1st and 10th November inclusive. The winner will be drawn on 11th November at random from a list of all entrants. The winner will notified via facebook messenger on 12th November 2017. Luxury Cheshire and Mama Cupcake reserve the right to publish the winner’s name on their websites and social media channels. There is no cash alternative to the prize.